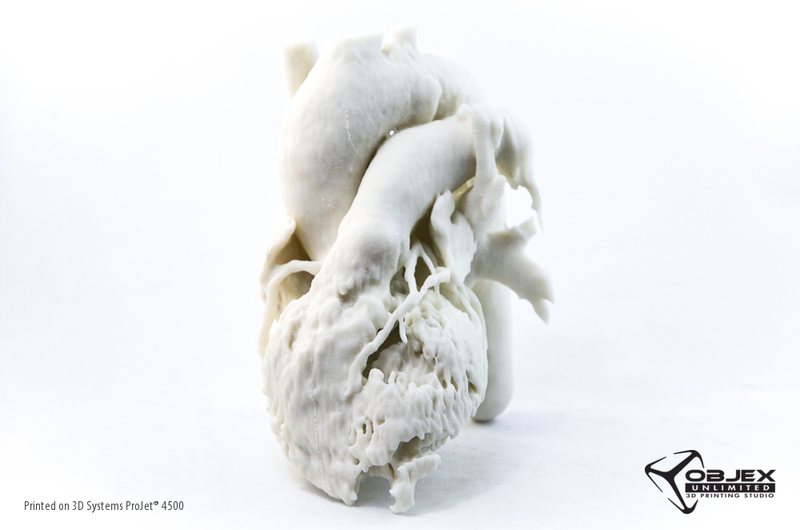 3D Printed Cardiac Imaging Data from Jason Kirk on Vimeo. 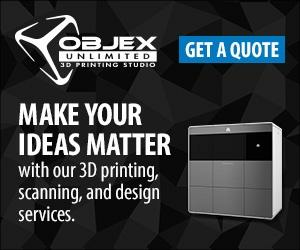 Objex Unlimited not only offers the service of printing 3D medical models from CT Scans or CAD files (see our 3D Printed CT scan of a human heart below), but we’ve also been working to improve the methods to deliver effective 3D Printed medical models. If you are interested in hearing more about our 3D printing services and to see some samples of our work please don’t hesitate to contact us. CT Scan of Human Heart (Monochrome) – Objex Unlimited. Printed on a ProJet 4500. For further reading, below is an excerpt from the article published about the thesis project on 3Dprint.com by Michael Moody called How Patient Specific 3D Printed Organ Replicas Help Patients Reach Informed Decisions. During the video Kirk provides insight into the process of preparing 3D anatomy replicas. Initially, the healthcare professional begins with patient specific CT scan data which serves as the basis for developing the 3D replica. He indicates that patient specific data is then used in conjunction with a software program called “MiMiC.” By using the software program, he is able to prepare the model and isolate the area of interest, in this case the heart muscle. The software allows the computer to save the graphic details of the model. It is then ready to complete using a polyjet 3D printer. This type of printer works by depositing layer after layer of liquid resin. This portion of the model is allowed to cure for 24 hours. The model is then removed from the printer and inspected for any errors. Once complete, a digital model can be used, as is, or with further editing to create a 3D stylized physical object. It is printed in two sections so it can provide a visual representation of the heart that allows for internal and external views without compromising either. Additionally, Kirk obtained input from a panel of cardiac experts, including cardiovascular surgeons, radiologists, and researchers from the Mayo Clinic, Hahnemann University Hospital as well as Drexel University College of Medicine. The goal of the interviews was to determine if a 3D printed cardiac anatomy replica could be used to facilitate doctor-patient communications by providing a supplemental decision making aid. Or stated another way, Kirk determined that in order to overcome the limitations of two dimensional presentations, one needs to combine patient centered healthcare, patient specific imaging data, and additive manufacturing techniques such as 3D printing; to assist empowered doctors to better communicate with their patients. Ultimately, this should lead to better, and more informed decisions.